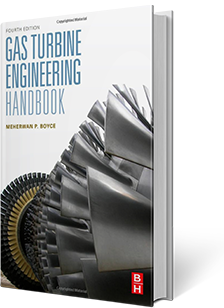 Written by one of the field’s most well known experts, the Gas Turbine Engineering Handbook has long been the standard for engineers involved in the design, selection, maintenance and operation of gas turbines. 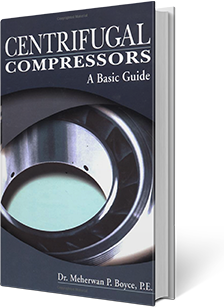 With far reaching, comprehensive coverage across a range of topics from design specifications to maintenance troubleshooting, this one-stop resource provides newcomers to the industry with all the essentials to learn and fill knowledge gaps, and established practicing gas turbine engineers with a reliable go-to reference. This new edition brings the Gas Turbine Engineering Handbook right up to date with new legislation and emerging topics to help the next generation of gas turbine professionals understand the underlying principles of gas turbine operation, the economic considerations and implications of operating these machines, and how they fit in with alternative methods of power generation. Three dimensional flow in a centrifugal compressor Diffuser design Surge and surge control Off design performance characteristics Mechanical equipment standards An overview of steam turbines An overview of motor drives Appendices (General properties of air; general properties of gases; Equivalent units) Index Summary. This comprehensive Handbook has been fully updated and expanded for the second edition. It covers all major aspects of power plant design, operation, and maintenance. 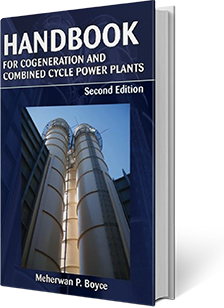 The second edition includes not only an updating of the technology, which has taken great leaps forward in the last decade, but also introduces new subjects such as Carbon Sequestration Technology, Chemical Treatment of Water used in Combined Cycle Power Plants, and extended treatments on Steam Turbines and Heat Recovery Steam Generators. A new Chapter has been introduced entitled, Case Histories of Problems Encountered in Cogeneration and Combined Cycle Power Plants. This is an extensive treatise with 145 figures and photographs illustrating the many problems associated with Combined Cycle Power Plants and some of the solutions that have enabled plants to achieved higher efficiencies and reliability. This new edition assimilates subject matter of various papers, and sometimes diverse views, into a comprehensive, unified treatment of Combined Cycle Power Plants. Illustrations, with curves and tables are extensively employed to broaden the understanding of the descriptive text. The book has many special features which include comparison of various energy systems, latest cycles and power augmentation and improved efficiency techniques. All the major plant equipment used in Combined Cycle and Cogeneration Power Plants has been addressed.